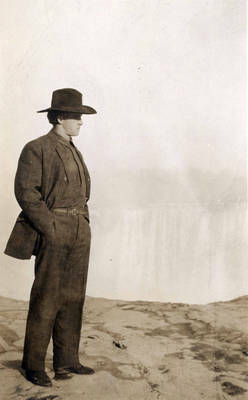 "William Russell at Niagara Falls"
William Russell at Niagara Falls. He may have been there for a Thanhouser silent film production, possibly "A Niagara Honeymoon" or "A Message from Niagara." BW photograph; 5.125" x 3.125"